How did you get your start? 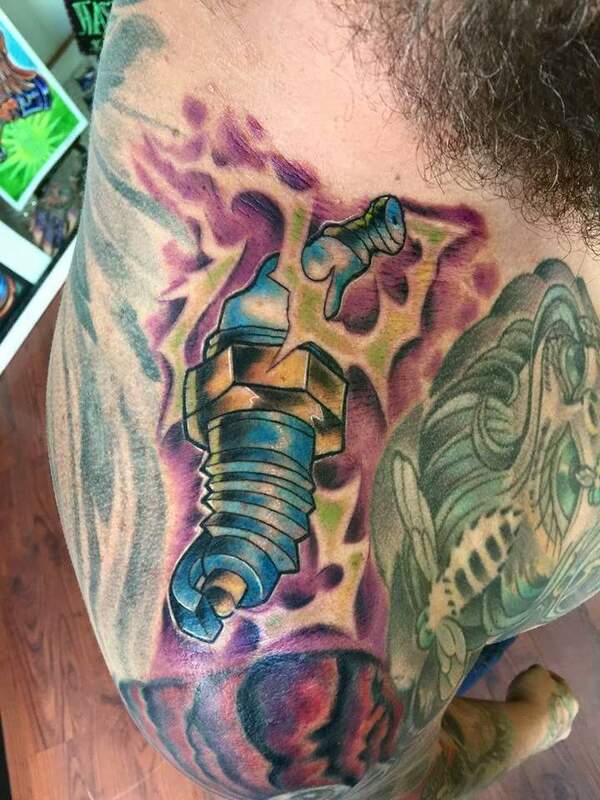 I had some guys from "Maxim Ink" (a shop in Lexington, Kentucky at the time) take interest in my work they saw on social media. I was asked to come meet them with my art portfolio. I was apprenticed by Robb Lee, and I picked every brain I could about tattooing. The rest is history. What do you like doing outside of tattooing? I really dig going hiking to places like Red River Gorge, going on road trips, adventures, and live music. What kind of music do you like? Rock, metal, doom metal... stuff you crank to 11. What is your favorite movie? Harry Potter, Marvel movies, Star Wars.